Allen Iverson, Ice Cube, Jeff Kwatinetz, Roger Mason, Jr., Kenyon Martin, and Rashard Lewis all posing for a picture at the launch of their new league. with Kenyon Martin and Rashard Lewis were also on hand. city similar to the Final Four or All Star weekends. determine what will work best. 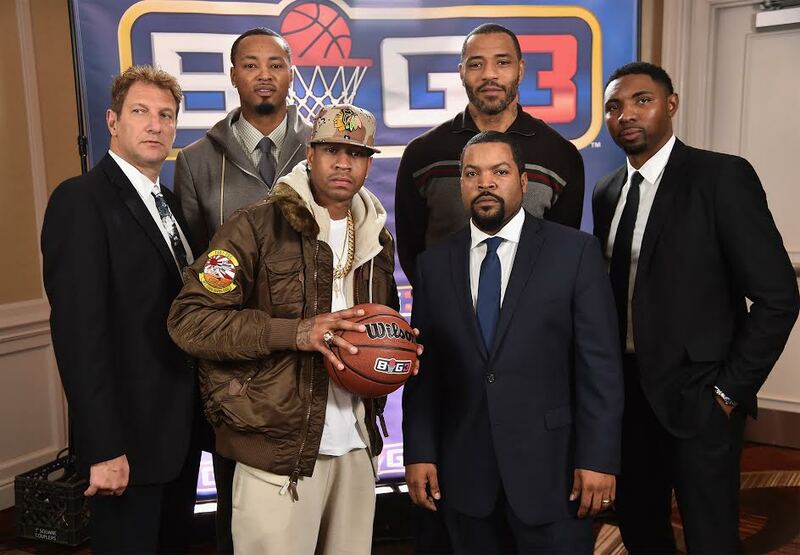 creativity of Ice Cube, their playing days will continue on, giving us a chance to see some of the best in action in the BIG3 basketball league.